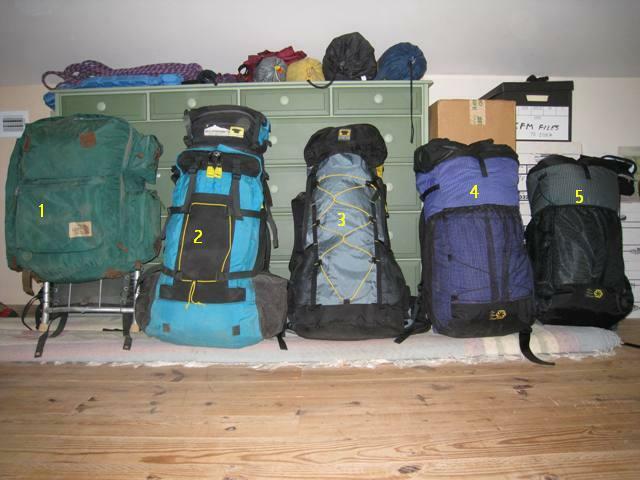 I have never gone backpacking in May, ever. But Bob was turning a significant number on the birthday odometer and I suggested we should go walking to mark the event. He said OK but he wanted high elevation for views, waterfalls and no people. It was Memorial Day weekend, no people is a tall order along with waterfalls at high elevation. Only one place that could qualify, the Black Mountain range, once we get past Deep Gap we should see almost no one. The weather forecast was perfect with cool temperatures and clear skies. Even though I have walked all or parts of the Crest trail on eight different occasions it has never been totally clear and usually we were walking in the clouds. 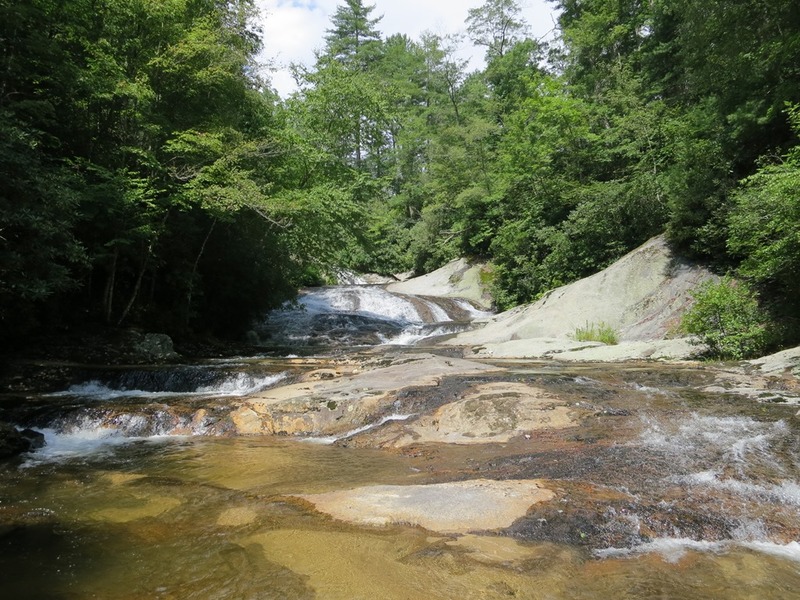 This would be the ideal time to walk the “Great Loop” which starts with the 7 rugged miles of the Crest trail out to Celo Knob, 12 miles back along the west side and then 6 more miles along the east side. Here a link to a map, if you right click on the route line and then “terrain statistics” you will get the elevation profile. Each day is a different color but day one is in two parts. In total we gained and lost about 13,500’! We left on Sunday so that I could go to Saturday market but Stan and Bob were here at the farm right on schedule at 5:30. Parking at the top of Mt. Mitchell we headed north on the Crest trail about 9:30, temps in the 50’s. This would be the hardest day with lots of elevation gain and loss but it would afford us the best chance for views. 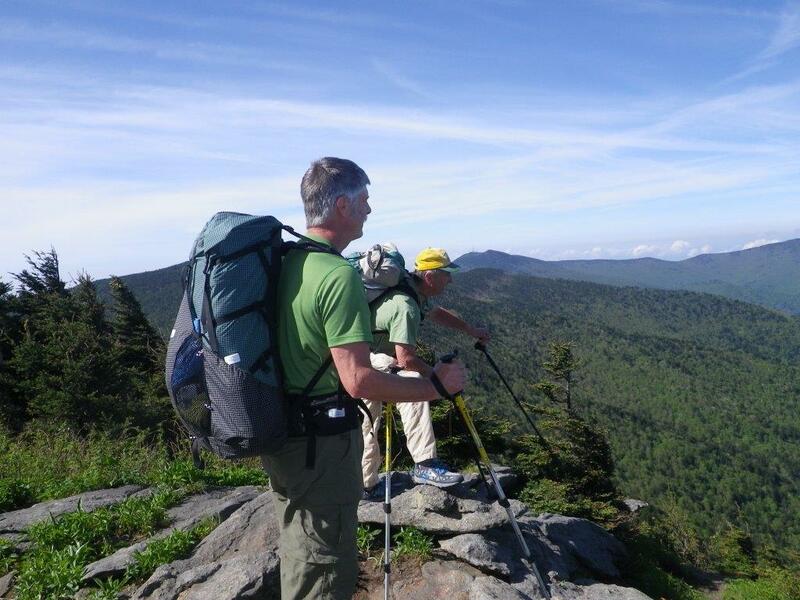 This trip was also a good lead into Stan’s trip to the White Mountains in New Hampshire to do the Presidential Range traverse. We primed him all weekend so he could tell those Yankees that he had just walked the highest ridge in the east and that Mt. Washington only ranks #14. Not quite as clear as we would have hoped for with the distant views fairly hazy but the close ridges very clear. Bob and me on Mt. Craig looking south, Mt. Mitchell behind us and Clingman’s peak with the radio towers on it. To break in 2015 Bob and I wanted to try a new area. 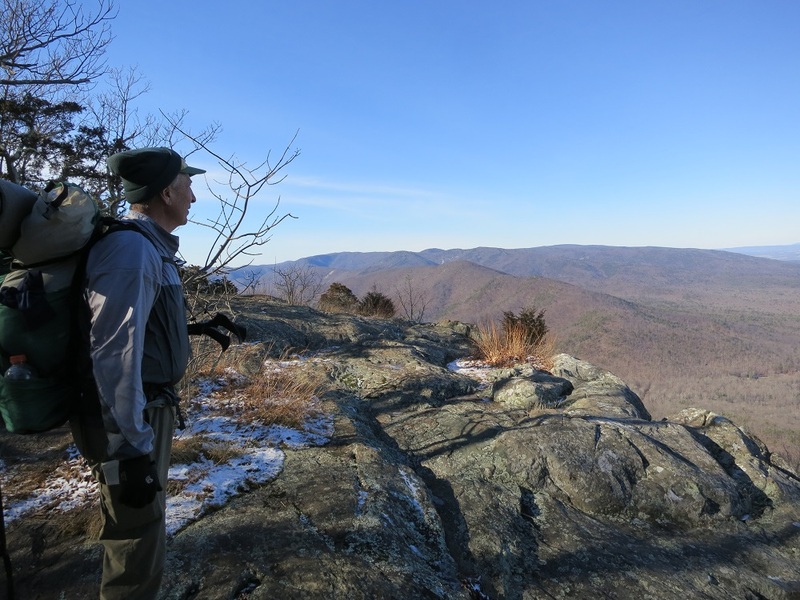 We had both, separately, tried to figure out a loop that included the AT with the famous Humpback Rocks and Torry Ridge and the area north of the St. Mary’s Wilderness. Part of the problem was that the section of the AT past Humpback Rocks runs right along the Blue Ridge Parkway so the chance of lots of people was high. A few days before the trip I checked the parkway website and they said it was closed through there so we decided to go for it and I found what looked to be some old forest roads that could connect a loop up. This trip had all the features Bob loves- cold weather, hiking in snow, bushwacking, stream wading, frozen precipitation, rock fields, staying at a shelter, crowds of tourists, the chance to be shot by hunters, meth labs and pit bulls. We parked at Reeds Gap at the Blue Ridge Parkway just as they re-opened the gates on New Years day, perfect! No one will be out driving on a holiday, much. 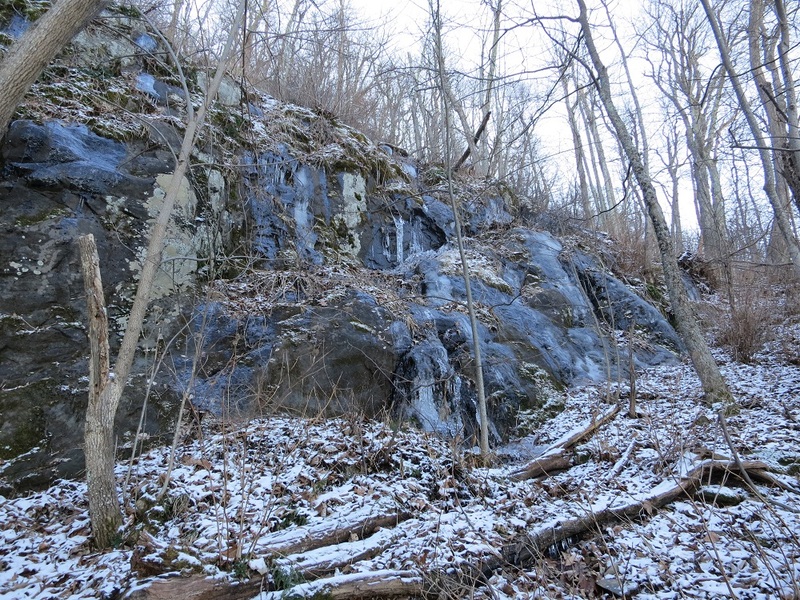 Headed north on the AT with temperatures in the teens, a thin layer of snow on the ground and ice on the rock faces. Moving fast to stay warm the trail actually runs below the parkway with great views from several cliffs along the way. You can see long Torry ridge in the middle, which we will walk tomorrow, and the far ridges are the north end of the St. Mary’s Wilderness. “Death Valley! Why?” was the standard reply when I told people that was where my next desert trip was going to be. Fair question and, almost to a person, from folks who had never been there but had just heard or read about it. 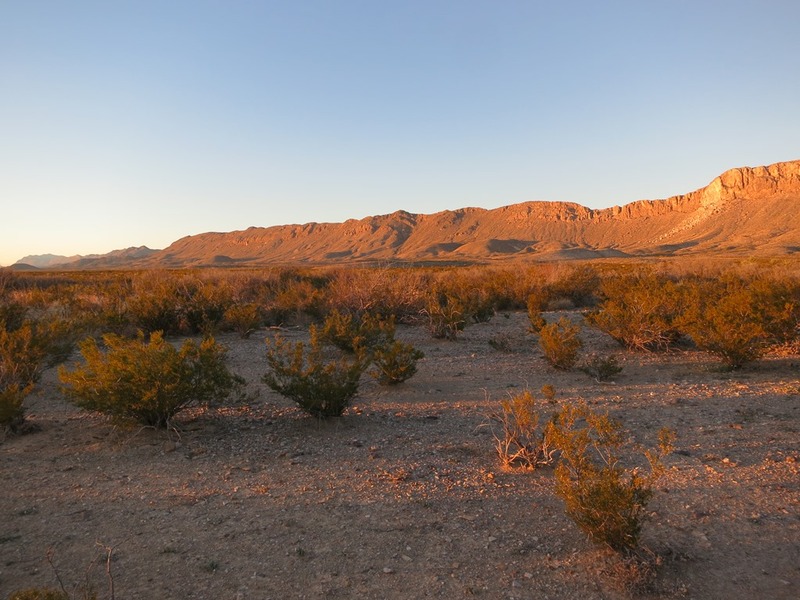 Me too, I have walked a lot in the desert and traversed much more by car but had never been to this huge spread of the Basin and Range province and Mojave Desert. 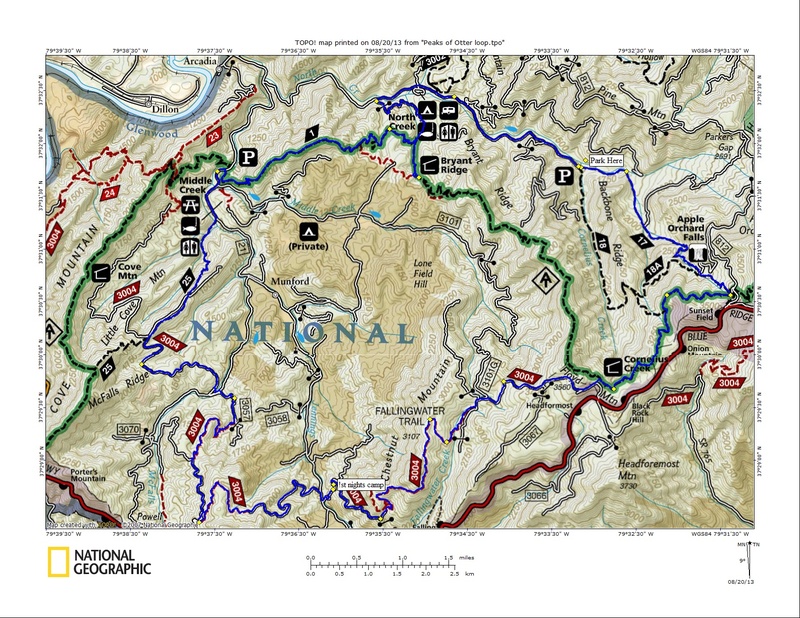 Always in the back of my brain but sparked by this trip report that Bob found nearly ten years ago I slowly started doing research on possible trips in this massive park, the largest national park in the lower 48 states (3.4 million acres). More thoughts and information on trip planning at the end of this report but two general logistical issues 1) there are very few water sources and essentially no natural water sources on the valley floors 2) much of the park is not accessible without a high clearance vehicle which makes dropping water in advance not very practical. 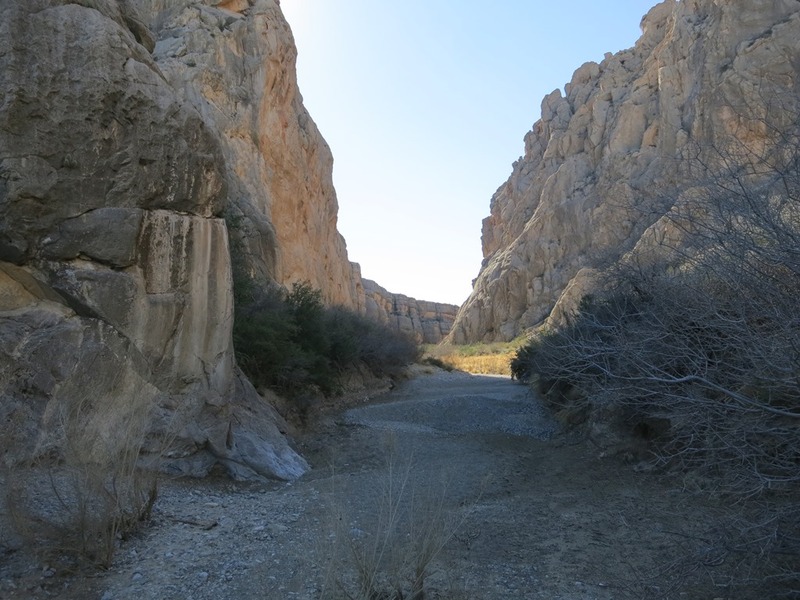 I decided that a walk down the valley, something like the trip report above, would give us a good introduction and maybe the quintessential DV experience but what does “walking down the valley” really mean? 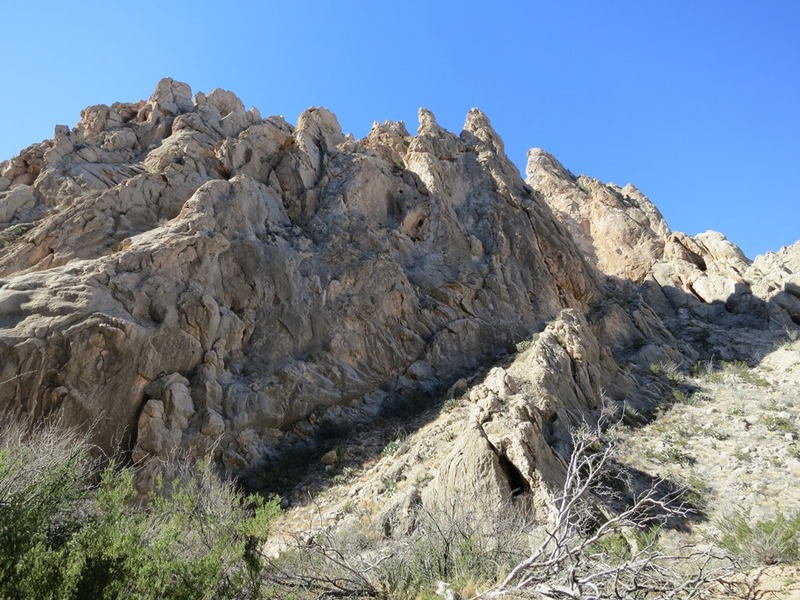 Within the park, the valley stretches something like 175 miles from the head of Death Valley wash in the Last Chance range in the north to the Saddle Peak Hills in the south. Only 108 off those miles are accessible from paved roads and the lower 33 of that are along a gravel road which I was not interested in walking down. That left around 75 miles down most of the heart of the valley. To make it more of a total picture of the park I wanted to include some time in one of the many canyons that drop out of the mountains on either side of the valley and Bighorn Gorge appeared to be the obvious choice for location and spectacular features. The call went out and because of schedule conflicts only Mark was available for an early December trip. He too had never been to DV but was very interested in its possibilities. 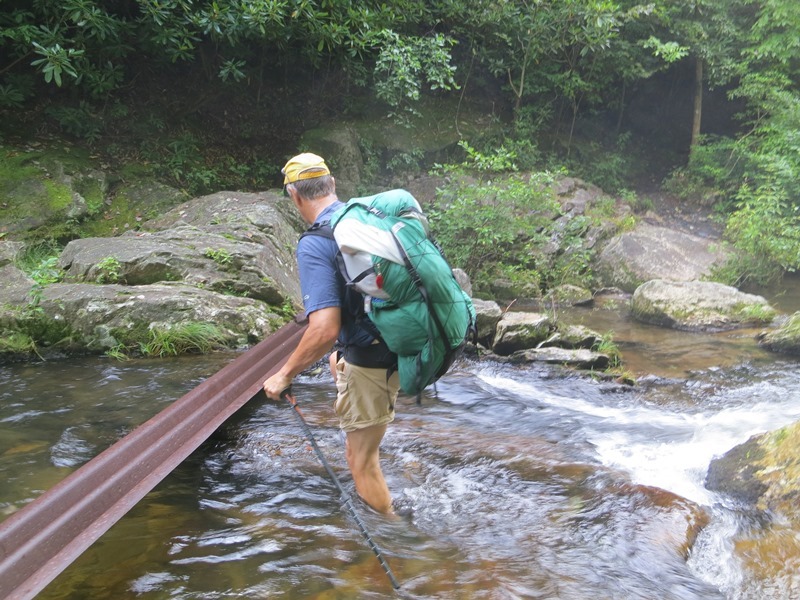 We had not walked together since the arduous 2011 Big Bend trip and this one loomed equally difficult, he was game. One of the convenient parts of DV is that it is only two hours from Las Vegas so one should have an easy time getting there. Dec. 2nd we left the farm at 4:00 a.m. for a 6:00 flight that would put us into LV at 8:30 Pacific time but after mechanical problems and exceedingly slow baggage claim we walked out of the airport 3 hours behind schedule. The days are short this time of year and we had to hustle to get our caches dropped. We knew that a storm system was moving in today and as we arrived at Furnace Creek at 2:00 the bulk of the precipitation had just moved through dropping almost a half an inch, more than one third the yearly total and the first rain since summer, and water was running across the roads everywhere. We still had to drive 40 more miles up valley to drop a water and food cache and the flash flooding across the roads made travel very slow. 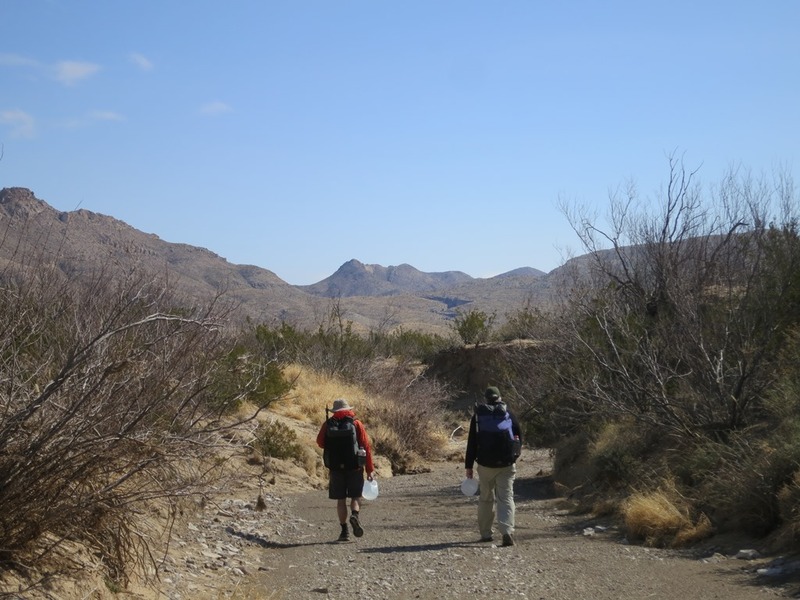 3:30 we pull over at milepost 23 on the Scotty’s Castle road, in a light rain we walk a mile down the alluvial fan to DV wash and drop 5 gallons of water and two days food. As we climb back up to the car it is getting dark and too late to drop our 2nd food cache at the Visitor center at Stovepipe Wells. 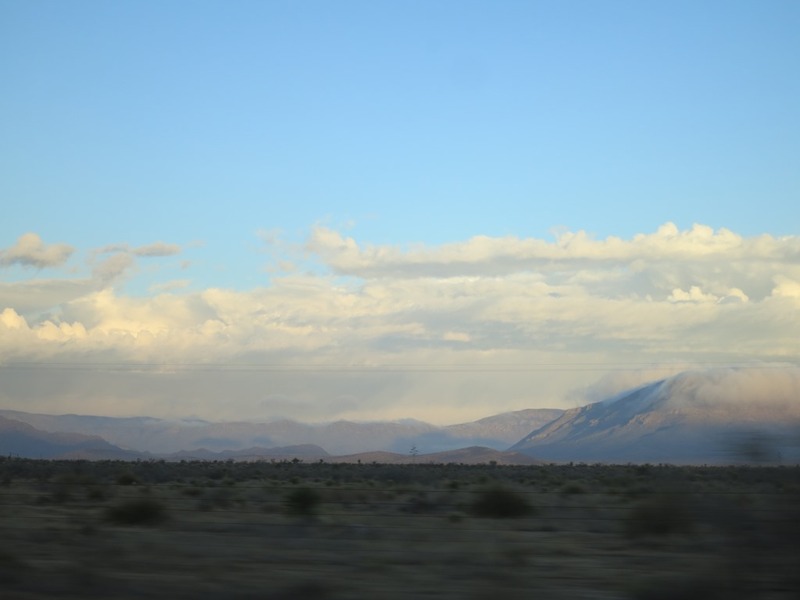 We retreat to the Furnace Creek Ranch and get a room so we can sort and pack equipment in a dry and lit place instead of the campground. Little did we know how much this moisture would tint the whole trip. Still on East coast time we were at breakfast at 6:00, finished packing and checked out by 7:30 for the 50 mile round trip to Stovepipe Wells (SPW) to drop more food. Turns out the visitor center is irregularly manned so we went to the General Store where we were warmly greeted and they gladly took our bag and put it in the cooler. 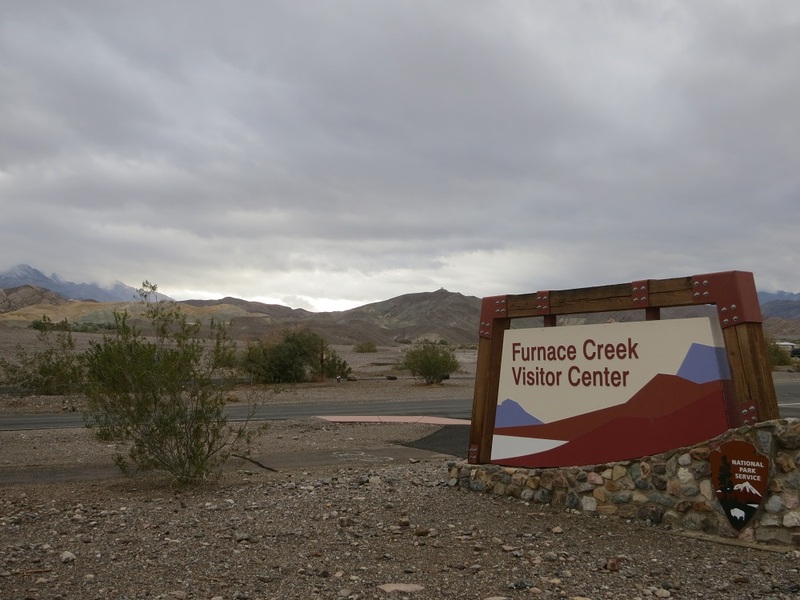 Back to Furnace Creek visitor center for a permit and to continue the process of trying to find a ride up to the start at Ubehebe Crater. The volunteers were somewhat skeptical of our plan but accepted it. We tried at the restaurants, general store, gas station and reservation desk to find someone who wanted to make some extra money to shuttle us but no takers. Not much traffic at the visitor center so we just went out on the highway and stuck out our thumbs. Minutes later a wonderful couple picked us up who were headed to the Racetrack and could drop us at Ubehebe as they drove past. So Bob and I headed up to Virginia for our favorite holiday of the year, Groundhog Day. 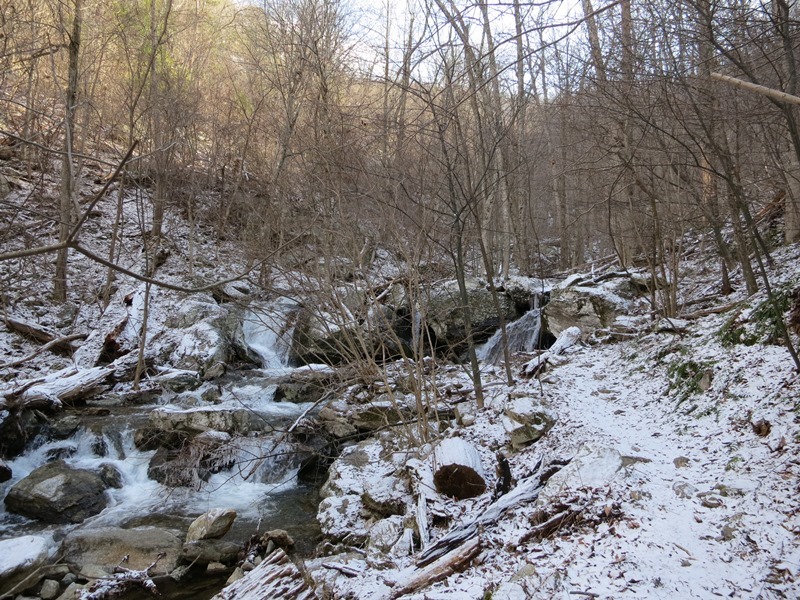 We drove up through some pretty serious flurries/light snow as we went over the Blue Ridge to the north entrance to Jennings Creek (FS road 21) and the trail head at the base of the Apple Orchard Falls trail. Our route is in blue, going clockwise. It was cold as hell as we started up the trail in a 1 inch dusting of snow, in the teens for sure. 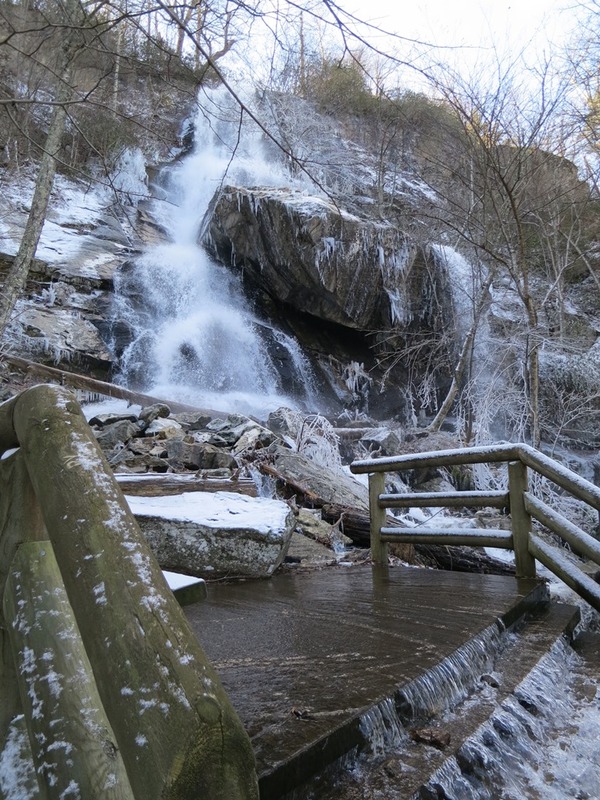 We got to the falls and the water was flowing over the walk way and was a bit tricky to cross with all the ice, sure as hell didn’t want to fall and get wet in these temperatures.